This colorful CHARM IT! Smart Girls Rule! charm tells it like it is... that it's awesome to be a girl with a good head on her shoulders! 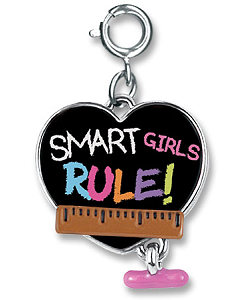 With "chalky" letters on the shiny heart's black "chalkboard" background, this fun Smart Girls Rule! charm features a 3-dimensional ruler and fun piece of dangling pink "chalk." A spunky addition to any charm collection, you can add your own unique personality to your charm bracelet with the simple snap of a clasp and this bold CHARM IT! 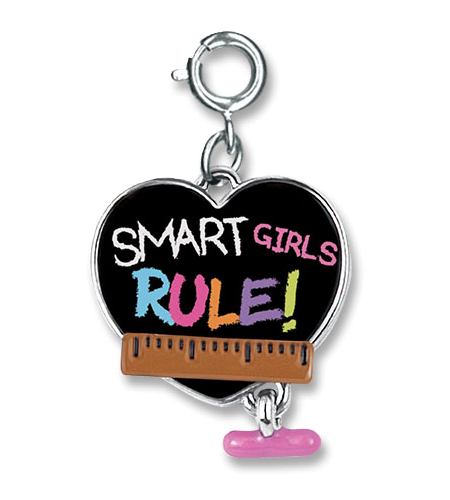 Smart Girls Rule! charm.